Dr. Tippavan Nagachinta (CDC/CGH/DGHP) has been working for the CDC and has had many of her projects deployed to different parts of the world. 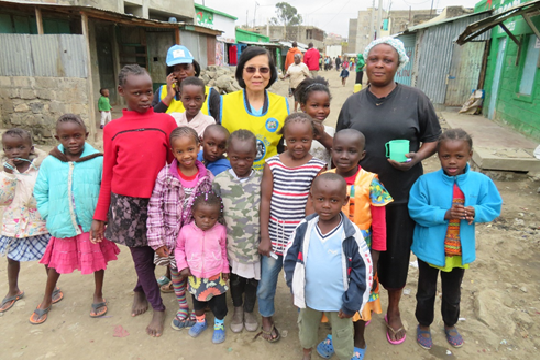 Her most recent one was in Kenya (Polio mOPV2 Campaign in Kenya from June 30-July 21, 2018), and she served as the technical monitor for the team supervisor in many of the under-served areas where hard-to-reach children were living in squalor that included garbage and sewage along the walkway. Please click here to view her slide presentation of the above project.